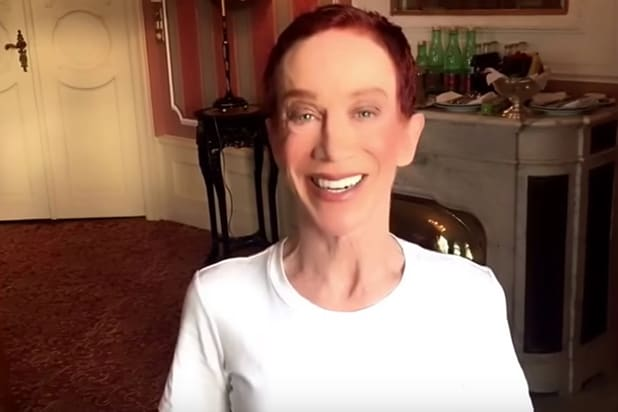 It sounds like Kathy Griffin wants Donald Trump to lose his head all over again. After a premature report on Monday that Trump will attend this year’s White House Correspondents’ Association dinner, “My Life on the D-List” alum Griffin offered to host the event, which traditionally serves at least in part as a roast of the sitting president. Unfortunately, it seems, Griffin might be getting a bit ahead of herself. Following the Mail’s report, Trump spokeswoman Sarah Huckabee Sanders clarified that it was not yet known whether Trump would attend the event. Trump, who has had what might charitably be described as a rocky relationship with the press during his presidency, did not attend last year’s event. TheWrap has reached out to the White House Correspondents’ Association and Griffin for comment. The dinner is scheduled to take place on April 28. Griffin famously found herself in hot water last year after posing with what appeared to be the decapitated head of Trump for a photo taken by Tyler Shields. After initially apologizing for the photo, Griffin later withdrew her apology,telling “Sunrise” co-hosts David Koch and Samantha Armytage that she “is no longer sorry” for the photo that stirred up so much outrage. 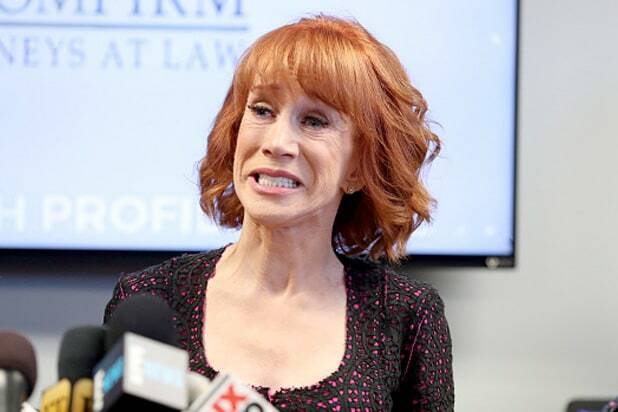 Griffin suffered substantial blowback over the image, including being dropped as co-host of CNN’s annual New Year’s Eve coverage.